Dial display hydraulic universal testing machine is mainly used to execute the tension, compression, bending, shearing etc. test for metal materials. Attached with simple accessories and devices, it can be used to wood, concrete, cement, rubber, and so on. 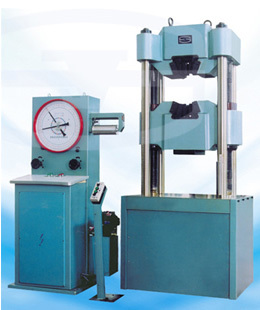 This kind of machine adopts pendulum dynamometer to measure load, manual control testing process and loading speed, the testing load is displayed through dial plate. 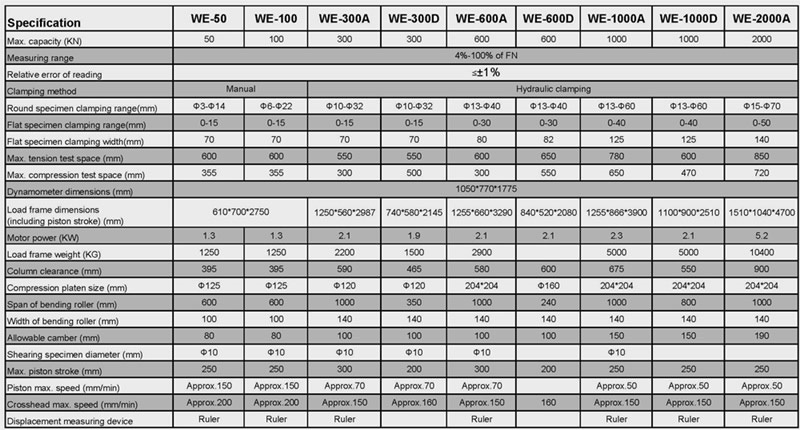 The driven pointer can indicate yielding load and maximum load, tracking plate given third class acceleration, and drawing load-curve function is also available.